Up until now, I've written about mostly story driven games, ones with a little gameplay where you make choices that impact the story. Well, now I want to write about something that has that and more, the Mass Effect series. It's possible you might have played this game series in the long time these games have been out for (the first game having been released in 2007), however, I hadn't thought to write about/play all three of the games in the series until I heard news about the potential for Bioware creating a Mass Effect 5. 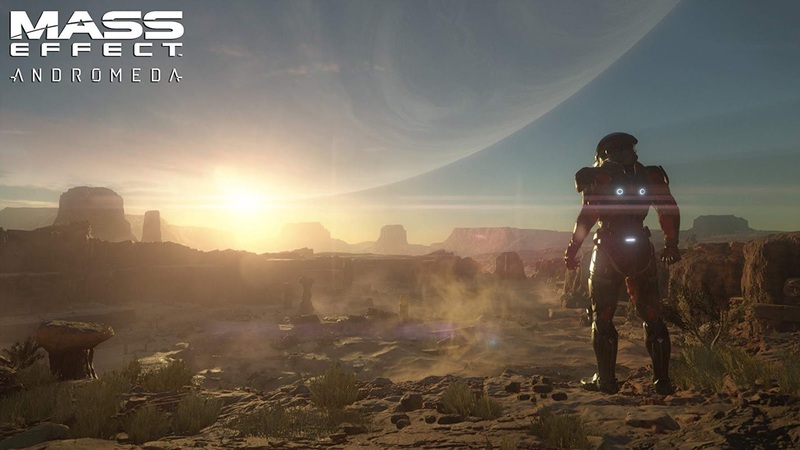 When I first heard about it I had already played Mass Effect 3 and Mass Effect Andromeda because I was afraid the graphics/gameplay of the first 2 would feel very dated, but I was very wrong on that front. At the time I didn’t realise that I hadn't played the two best Mass Effect games out of the series, but after hearing the news of Mass Effect 5, I just had to play them all to build up some nostalgia for the series again. 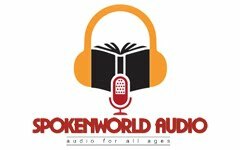 So, let's talk about the storyline of the game. Most of the story revolves around an ancient mechanical race that is rumoured, through mythical tales around the galaxy, to come to a galaxy every 50,000 years to “cleanse” it of most living beings that pose a threat to them, leaving the less evolved species to develop and repopulate the galaxy in what they call the next “cycle”, the life span of a number of races before they are wiped out entirely by these “Reapers”. The first, second and third games of the series are based on the character of Shepard, who may be a boy or a girl depending on your choice at the start of the game, as well as giving the player options to pick one of three backstories for their character and experience with previous missions. Shepard begins as a simple soldier who has risen through the ranks and is asked to investigate certain threats to the species of the galaxy, like any other soldier. But Shepard is also the first to experience a vision of the Reapers, confirming their existence to be true and, due to the fact that many species of the galaxy are yet to trust the human race yet, it becomes difficult for Shepard to convince them of their existence. But through his noble actions to assist the council (a governing body of the galaxy, made up of a just a select few races), he builds his way up to becoming respected by them and given ranks that allow him to investigate his suspicions of the reapers and discover ways of adapting their own technology and gaining further knowledge of them to help them prepare. The first game doesn't seem to have much of an element in which your entire crew’s lives are at stake, depending on any side tasks you do or don’t do in the game, but it still leaves you with one or two moments when Shepard must choose who out of his crew he wants to save. Depending on this choice, the soldiers that die will be remembered through a memorial board in Mass Effect 3 and will be mentioned in moments of Shepard's emotional shock, as he continues to lose more friends (or not if you make the right choices). The first game also seems to play with the fact that you can either be understanding of the council and its lack of understanding of the human race this early in time, since they have only recently discovered space travel. 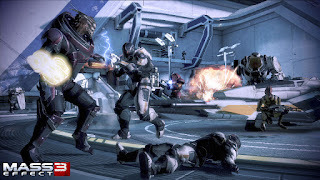 Or the player can choose to dislike the council and its lack of trust in commander Shepard, and there is one choice at the end of this storyline that will determine if the council lives or dies. 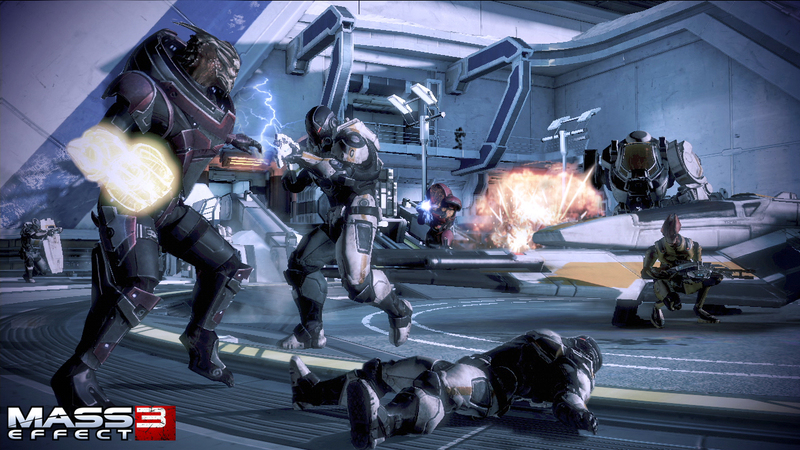 The second game’s plot starts with a story that throws Shepard right back into the action after defeating the Reapers’ most recent worshipping race known as the Geth, and this moment of the story brings a company known as Cerberus into the game, a group that believes in finding the strength of humanity above all other races. After Shepard becomes drastically injured and is rescued by the Illusive Man, and his Cerberus followers, he proposes that Shepard works for him to take down another threat in service of the Reapers, the Collectors, a race that has begun kidnapping colonies of humans without leaving a trace of their being there. As the story goes on you can either choose to trust Cerberus or you cannot and the decision of this will determine how other characters interact with yours in Mass Effect 3. Unlike the first game, this one works on the premise of loyalty, and at this point in the story you need to know that everything you do, in this game as well as in Mass Effect 3, will impact how both of these stories end. So anyway, in Mass Effect 2, it follows the idea of recruiting people of many races to your team who are known to be powerful or strong willed, to give yourself the best chance of beating the Collectors. The player may choose to recruit them all, or merely most of them. And as the story moves forward you will be given the option to help each of your crewmates with a mission for them. These missions are vital to their survival in the story along with many other things such as the strength of your ship, meaning that most elements outside of the main story of this game will not just impact gameplay, but how the story itself resolves at the end “suicide mission”. I personally really enjoyed this game and the crew of it, and because of this, I wanted to make sure that I did every part of this game before approaching the final mission. However I made one error in taking too long to rescue certain people in the story, which is another interesting part of the game, and I'm assuming that it follows the principle that the longer you take to rescue them, the more of them die. 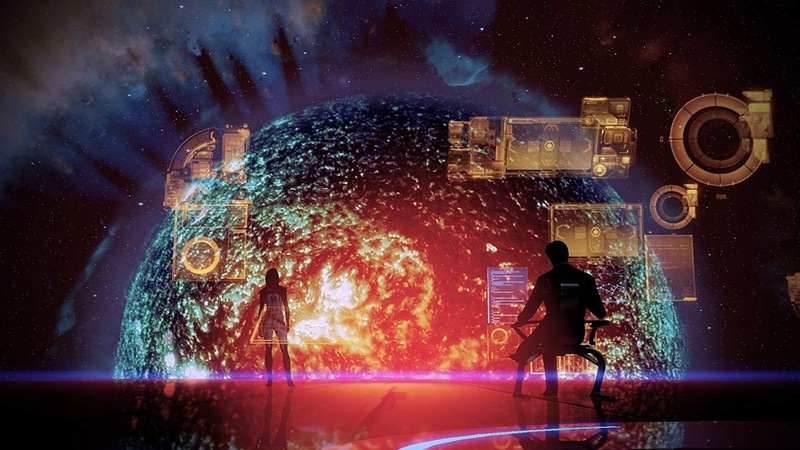 The game will remind you of those that survived or died through either the memorial on the crew deck in Mass Effect 3, or by meeting them in Mass Effect 3 if you manage to save them. Talking of Mass Effect 3, this is when the series really hits close to home, and I mean this literally. The first two games don't focus at all on even our solar system, but at the start of this game, the Reapers begin by invading Earth, and the main plot of it involves preparing an alliance with every species to help take back Earth. But to do so, Shepard must gain the loyalty of every soldier, and every species that he can to offer the best chance of the human race surviving this cycle. This game, much like the second, requires the player to build up their alliances “combat effectiveness”, which, depending on its how high it is, will determine who dies in the end sequence of the game. 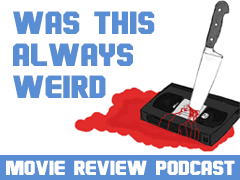 (This game in particular was badly criticised for its less varied ending but I'll get to that a little later). When I initially started playing this series, I started with the third game and fortunately there was a brief explanation about the Reapers given to the player at the start of the game just to clarify to anyone that hadn't played the previous games (and default choices from those games are selected for those that haven’t). Unfortunately, when I did first play this I didn't think that any of the side mission stuff in the story was important, I thought the only thing that mattered were the choices you made in the cutscenes of the main story, which I was completely wrong about, since in my ending decision, everyone died, well almost everyone, except a few of my original crew, those that managed to outrun the blast of a powerful weapon, who, alongside maybe a few survivors, were left stranded on a certain planet. Now, as I mentioned, the thing that annoyed some people about Mass Effect 3 was that the endings weren’t as different as people would like them to be, the end sequences seem to be more or less the same, with small adjustments depending on your decisions leading up to, and at the end of, the game. It does basically offer you which kind of explosion you want, but each of them still does something different. One of them bonds mechanical beings with living beings, another destroys the Reapers (and you and most of your race depending on how many you recruit to your cause) and a couple more options depend on the decisions you may or may not have made in Mass Effect 2. And the links to Mass Effect 2 as well as Mass Effect 1 are what still give this game some great nostalgia for returning characters (or not returning characters if they die on the suicide mission of the second game). Something that really sells the game, and the series in general, is the incredible music; music that builds hope when it needs to uplift a soldier in times of war, and music that keeps things intense when you're out on a mission trying to save someone. In my opinion, the music really helps to build the nostalgia of all the games, especially when you hear some of the older music replayed in later games and it's something that keeps the player focused when they need to be, and thought provoked as well, when they need to be. With Mass Effect Andromeda things are very different, and that’s probably why it was so badly received, however I for one understand what the story was attempting to achieve and what the purpose of it was. 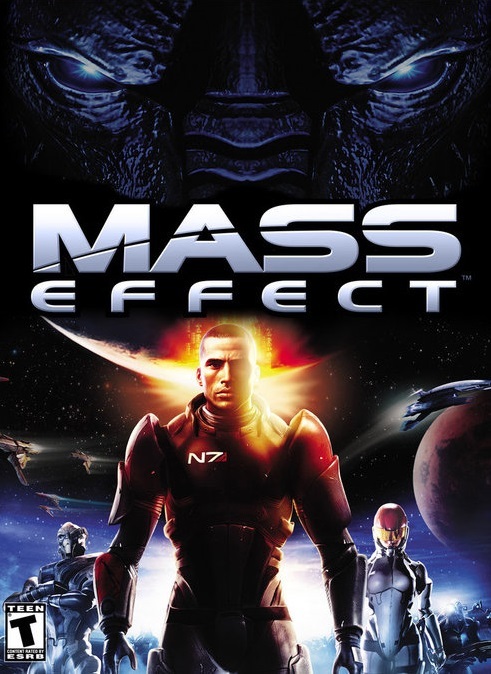 This was to continue the story as a galaxy of races that are trying to collect themselves, following the severe damage that the Reapers inflicted, and to do this they needed a different character, because they’ve had the soldier and now they just need a hero, which is where the character of “Ryder” comes in. This time the game involves making places habitable and helping to save each race by getting each race out of stasis following their journey to another galaxy, in the hope of saving their races by consuming resources of a new galaxy so they can survive. 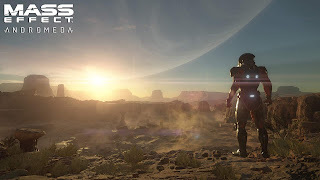 Now of course, since the player can choose to play as a “renegade” through the first 3 Mass Effect games, it’s understandable that many players wouldn't want to be forced to only play “hero” and to just go around finding a way to make a planet habitable. But the similar action and gameplay is still what makes it satisfying to play at times, though I will admit that saving the different species can start to get a little tedious. That said, this series is definitely worth playing if you haven't played it already, especially since Mass Effect 1 and 2 are almost flawlessly fun. Mass Effect 2 is also very replay-able, giving you as a player, the option to kill many or save many depending on your choices, and then restarting the game to see what could happen if you did the opposite. This is what's so enjoyable about this game, it’s that it's not just a simple shooter, it’s a sci fi shooter with a great story to it and depth that many others don’t have. I very much hope that, if we do get a Mass Effect 5, it brings back some of the nostalgia from the original three games, and finds something that made those first three more enjoyable than the fourth game.